SAZ League Rules - 2010 Local Rules and Regulations Are Here! All USTA Southern Arizona Leagues including USTA SAZ Mixed, USTA SAZ Adult, USTA SAZ Senior and SAZ Super Senior Leagues are governed by the 2010 USTA League Tennis Regulations (ULR) and the Section League Rules and Regulations (SLRR) and The Code of Conduct contained in Friend at Court. Combo, Senior Mixed and 70 Leagues are also subject to these rules but are not national programs so are not included in the playoff structure. Their results are not included in any ratings calculation. These Local Rules and Regulations (LRR) are developed to supplement the USTA National and SWS Section Rules and Regulations. The SWS office has approved these Local Rules and Regulations. The Local Rules and Regulations must not contradict National or Section established rules and regulations. In all matches played without officials, the USTA "Code" of Conduct shall be observed. A copy can be obtained at www.usta.com/leagues and search for “Friend at Court”. Each team member must be a member of the USTA throughout the entire league season. (see ULR Section 1.11) USTA memberships may be renewed or extended using TennisLink during the registration process. New memberships may be purchased via telephone through the USTA Membership Department at 1-800-990-USTA (8782) or online at www.usta.com. Each team member shall have reached the age of 18 years for Mixed, Adult and Combo”), 50 years for Senior League, 60 years for Super Seniors and 70 years for 70 prior to or during the calendar year in which such player plays in his/her first local league match. ULR Section 3.01H (5) b - A player may compete in more than one NTRP level in the same division/season USTA League Tennis Adult, Senior, Super Senior and Adult Mixed. It also included Senior Mixed, Combo & 70 in the same local league, providing it is a higher level than their rated level. (E.g. Joe, a 4.0 rated player may play on one 4.0 team and may also play on a 4.5 team). A player may play on more than one team, but no more than two teams within a division/season. This includes USTA League Tennis Adult, Senior, Super Senior and Adult Mixed. It also includes Senior Mixed, Combo and 70 . (E.g. Bob can play on two teams such as a 3.5 and 4.0 team each in the Adult and Senior League at the same time but may not play on the third team such as a 4.5.) If there is a day division and night division a player may only play on either a day or night team, for example; Ladies 3.5 have a day division and a night division with a play-off to determine the local league winner, the player can either play on a day team or a night team, not both. ULR Section 3.01H (5) d – Players who qualify to advance to championships on more than one team may be required by their section to choose which team they will represent. Players who play on two teams must notify their captain. ULR Section 3.03A (2) - No player is eligible to progress to (Section) championship level competition unless he/she has played on the same team in at least (2) two matches during its local league season. A defaulted match shall count as a match played for the player(s) receiving the default, but not for the player(s) who defaulted. A maximum of one (1) default shall count toward advancing. A retired match shall count for all players involved. ULR Section 3.03A (3) – A player is eligible to advance to national championship if that player has played on that same team in at least three (3) matches through section championships. No defaults received by the player during all league competition shall count for advancing. A retired match shall count for all players involved. In all matches in which ineligible players participate, the team using ineligible players shall be penalized by forfeiting all individual matches played by such players. For Super Seniors – at all championships a minimum of six (6) team members must be available and eligible to combine and compete. The eligibility for advancing to national championships will be a minimum of two matches through Section championships with a maximum of one (1) default. Players who are not current members of the USTA. Players who are playing below their NTRP computer rating. Players who have been disqualified because the Committee has decided the player is not properly rated for the particular level of play. A player shall not play a league match under another player's name. A player who does so and the team captain, and any team member who plays in the same match with knowledge of the impersonation, may be suspended from all USTA sanctioned activities up to a year. The Local League Coordinator in agreement with the SAZ Adult/Senior Competitive Committee has the right to suspend the playing privileges of a captain, player, or team whose behavior has been disruptive and/or found to be not in compliance with the regulations. Players with a computer rating on file in TennisLink must enter a USTA League Tennis division (Adult, Senior, Super Senior, Mixed) at that rating or higher. This computer rating is valid for up to three years if 59 or younger and for two years if 60 or older or until another rating is generated. Any player who utilizes multiple USTA Membership Numbers in an attempt to circumvent this requirement shall be disqualified from further participation in any USTA League Tennis program for a period of two years and all matches played by such persons will be declared forfeit. Players without a computer rating are required to declare a self-rating on TennisLink when first entering the Leagues program. In making their self-rating decision, players should consider the NTRP Guideline posted on the TennisLink website; their on-court performance against established league players; relevant tennis history including frequency of play and instruction; and general fitness. Once made, the self-rating declared by the player shall apply to all divisions. Each team must have a captain or designated co-captain present at each match who will be the only official spokesperson for that team. All correspondence/ communications, etc. will be done by the captain or designated co-captain. Team captains or their representatives at matches shall be responsible for their actions and the actions of their players. Teammates, spectators, or coaches may not volunteer advice on line calls, scoring, or on the conduct of the match. It is the home team's responsibility to control the conduct of spectators during match play. Teaching Professionals may not act as a captain. The fees for 2010 are $21.00 ($18.00 $3.00 non-refundable user fee) subject to change by Active.com per player for each League Division - Mixed, Adult, Senior and Super Senior. Once League play has begun, league fees will not be refunded. Any local league may be run through TennisLink. Any player will be subject to the $3.00 Active.com fee but the local league fees may vary and will be published on the www.saz.usta.com	website.. If there are not enough teams in an area to form a league, teams may request permission in writing to play in another area. The Section League Coordinator and the Local Coordinators from each area involved must approve this application in writing. There will be careful consideration given to the effects on both league areas with the understanding that there is a responsibility and obligation to promote the growth of the program without disrupting existing leagues. 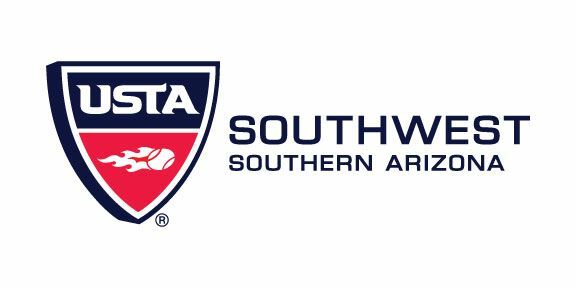 League players may be added to a TennisLink Team Roster subject to a Local League rule otherwise limiting roster additions published on the website at www.saz.usta.com. Only players who have been promoted can register on another team at the higher level after the registration deadline. Players may not be dropped from a team after the start of the local league season. A player may transfer to a different team up to the final date for registration provided that individual has not played a match or received credit for a default. A sanctioned USTA League tennis ball must be used. The home team furnishes the balls and pays court fees for the match. Each team captain must declare, in advance of league play, the court surface their team will play on for home team matches. All matches for that league season must be played on that same surface for home team matches unless agreed upon by both team captains as least 24 hours prior to the match. Wheelchair players participating in Mixed, Senior Mixed, Adult, Senior, Super Senior, Combo & 70 events shall be allowed (2) bounces of the ball. The Local League will consist of combined rating levels of 6.0, 7.0, 8.0, 9.0, and 10.0. The combined rating system will be used at Mixed Section and Regional Championships. Each player's NTRP rating must be on the official scorecard at the time of line-up exchange before the team match begins. No more than 1.0 may separate the rating of the partners in each individual doubles team. Each individual match will count as one point. The team with the majority of points wins the team match. The Local League Coordinator (LLC) shall establish match schedules. Team Captains should fill out their line-up completely. Team captains shall exchange scorecards simultaneously PRIOR to the scheduled start time of a team match and record the scores as each match finishes. 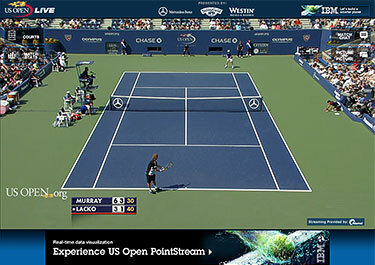 Match results must be reported on TennisLink by a team captain (or his/her designee) within 48 hours of the team match. The opposing team captain or designee must log in to TennisLink and confirm or dispute the reported match scores within 48 hours after they have been reported. After that time, all reported results are deemed final and complete. Individual Player Forfeits: Use of an ineligible player will result in a default. The match will be scored as a 6-0, 6-0 win for the opposing team. 3.03L (1) Singles, The No. 2 singles must be forfeited before the No. 1 singles may be forfeited. 3.03L (2) Doubles, the No. 3 doubles must be forfeited before the No. 2 doubles and the No. 2 doubles must be forfeited before the No. 1 doubles. ULR Section 3.01H(4) No substitution may be made in an individual match after the lineup has been presented, except for injury to, illness of, or disqualification of a player, prior to the start of such match. If the substitution is made during the warm-up, the substitute player is entitled to a five (5) minute warm-up. In the event a substitution is allowed due to one of the above conditions, the substitute shall play in the position that is open due to the injury, illness, or disqualification. No substitute may be taken from the original lineup after the lineup has been presented, except that if a player's partner does not show up due to injury, illness, or disqualification, the player may be treated as a substitute. (** EXCEPTION: When a match is postponed to another day and an individual match has not started, a captain may change the lineup for any such match). Teams are encouraged to field their team in order of strength. If there are not enough courts available at one time for a team match the team captains must agree in advance the starting time for each individual match. The #1 position must play before the #2 position and the #2 position must play before the #3 position. Generally TWO (2) hours should be allotted for each match. The lateness penalty clock starts when the match is scheduled and a player has not arrived. All warm-ups, including serves, must be taken before match begins. Warm ups are limited to 10 minutes. Inclement weather will be a valid reason for not playing a team match at the scheduled time and location. On match day, the host or home team captain will decide, consulting with the visiting team captain, as to what constitutes unplayable weather. Completed individual matches will stand as played. Incomplete matches must be continued by the same players and resumed at the exact score - set, game point - as they stood when halted (any point played is always counted and never replayed). Rained-out matches should be rescheduled and played as a team, as opposed to individuals playing matches at different times/sites. Please note that just because it is raining in your area does not necessarily mean it is raining all over. Contact the host captain to resolve the issue. The deadline for all postponed matches will be the end of that League's season and prior to any scheduled play-offs. If team captains cannot agree on a time within that deadline, the LLC shall select the date and time. If neither team appears on that established date and time, a double default will be entered in the system. Unavailability of strongest players is not a valid reason for postponing/rescheduling a match. It is common courtesy to give at least 5 days advance notice to reschedule a match. If a match needs to be rescheduled, as the home team please check with your facility first for court availability. Also, notify your facility if you cancel a match. Once a new date is established, teams are committed to play on that date unless inclement weather occurs. Teams qualifying for the Section Championships will compete in a round robin format to determine the USTA League Tennis Section Champion in each NTRP category. Winners of the Championships will be invited to participate in the USTA League Tennis Regional/National Championships (if applicable). Format for all SWS Area Play-Offs and Section Championships (Mixed, Adult, Senior, and Super Senior): the best of two tie-break sets with a match tie-break in lieu of a 3rd set unless otherwise stated. Mixed Doubles Division and Super Seniors only Section Championships will be organized using combination ratings of 6.0, 7.0, 8.0, 9.0, and 10.0. Adult, Senior, Super Senior and Adult Mixed Section Champions advance to the National Championships. Memberships must be valid through these playoffs. There is a Section Championships for the Senior Mixed League with a possible National Invitational. 3.01H (5)e	At any national championship, if a player qualifies for two or more teams at the same NTRP level for an event, the individual must declare which team he/she will represent. In the absence of a declaration, the first match played will determine which team he/she will represent. 3.05C Championship Benchmarks - A championship benchmark may not be appealed following the championship year it is received except for medical reasons. If intervening permanent disabling injury or illness indicates that a championship benchmark rating may be too high, the Section League Coordinator may request a reconsideration of a championship benchmark rating by the designated medical appeal committee. A year-old championship benchmark may be appealed in accordance with the NTRP Computer Rating System Procedures. The Dynamic NTRP will not apply. Players who only play Mixed will generate a separate year-end rating. It's an enhanced tennis rating system that generates player ratings at regular intervals over the course of the Adult & Senior league season. updated regularly and based on an average of the previous four dynamic ratings. used to track play, identify those clearly above level and to assist with year-end benchmarking and ratings. not disclosed publicly (neither to the player or administrator below the section level). Ratings are based on the benchmark calculation method. and compatible through a system, which assigns ratings to players by direct and indirect comparison to players who compete at the USTA League National and Section Championships. The closeness of the match (regardless of whether it was a win or a loss). By what position you play. By your wins and losses. Players will register through Tennis Link. If they have a valid computer rating on file in the database, it will confirm their eligibility for the team. If they have no rating on file, the player will be required to declare a self-rating before completing the registration. Each time a player's dynamic rating exceeds the maximum tolerance for the level; he/she automatically earns a "strike"... three strikes and you're disqualified from participation at that NTRP level. USTA will monitor these ratings and the section office will inform players if they reach the disqualification level three times based on all adult and senior matches from all sections in the database from local league up to and including Section championships. All complaints alleging a violation during local league competition shall be filed in writing with the Local League Coordinator having jurisdiction prior to the commencement of the next team match in that specific flight involving such individual or team, or within twenty-four hours after the end of local league play, whichever occurs first. Email is not acceptable. This complaint should be sent to SAZ Tennis ¬ P.O.Box 35661 ¬ Tucson, AZ 85740. This information is contained is Section 2.02C of the ULR. A player must play in two local league matches to be eligible to play at Section Championships. A win by default counts as a match played. A player is eligible to advance to a national championship in Adult, Senior and Mixed Divisions if that player has played on that same team in at least three matches through Section Championships. No defaults will be counted toward this eligibility. A retired match shall count for all participating players. To receive an NTRP computer rating a player must play in two matches in the Adult, Senior, Mixed or Super Senior League or a Sanctioned NTRP tournament(s). A defaulted match does not count toward an NTRP rating. A minimum of two matches must be played. Mixed doubles seniors, Citizen's Cup, winter league or interclub matches do not count toward generating a rating. Mixed doubles matches will only impact mixed doubles players. 1. A player with a valid NTRP Computer (C) rating, or Benchmark (B) rating, or granted Automatic Appeal rating of a Computer (C) rating is not subject to a NTRP grievance. Any other player is subject to a NTRP grievance. 2. Each player shall have reached eighteen (18) years of age prior to, or during, the calendar year in which such player plays his/her first local league match. 3. Adult, Senior and Mixed teams that qualify to advance to National Championships, but do not participate, will follow the Move up/Split-up Regulations. 4. Players that are NTRP disqualified while participating in another division after qualifying for Adult, Senior, Mixed, or Super Senior National Championships will not be allowed to advance to the National Championship unless participating at the higher level.